Courtney Umphlett was born in Salisbury, NC. She began studying music at the age of eight, starting first with violin. Throughout her early musical career, Courtney studied violin, cello, flute, oboe, euphonium, percussion, piano, and voice. Courtney attended Western Carolina University where she received her Bachelor of Science in Music Education for both instrumental and vocal music. While in college, Courtney performed with various groups at WCU, including the Wind Ensemble, Concert Choir, Early Music Ensemble and of course the infamous "Pride of the Mountains Marching Band." She also marched drum and bugle corps in 2008 and 2009 with Spirit and performed a season with Odyssey Percussion Theater. In 2009, she began an internship with the music program at Central United Methodist Church where she was frequently featured as a soloist and was given the chance to conduct a professional orchestra. An avid music educator, Courtney received the Outstanding Prospective Teacher Award, Outstanding Vocal Performer Award, and the Maxie Beaver Award for Excellence in Music Education. Mrs. Umphlett has worked with a variety of musical groups in the area. Since 2009, she has worked with the percussion section at Smoky Mountain High School in Sylva, NC. In 2011, the Indoor Percussion group traveled to WGI World Finals in Dayton, OH where they finished 10th in the nation for their class. Courtney is currently on staff with WCU's Pride of the Mountains Marching Band as their front ensemble instructor and has been a clinician for their annual Summer Symposium for the Marching Arts. Other schools she has worked with include Concord High School, Swain High School, North Buncombe High School, Fairview Elementary, Cullowhee Valley Elementary, FUMC Early Learning Center and Tuscola High School. She has also taught chorus at Macon Middle School, receiving an Excellent rating at Music Performance Adjudication. Tiffany Powell experienced many different cultures being raised as a military child. She visited the mountains of WNC growing up and it has always felt like home. When the time came, she and her husband chose to raise their family in Waynesville, NC. Tiffany finished her Graduate Assistantship and Master of Music from Western Carolina University in 2009 concentrating on flute performance, pedagogy, and flute repair. During the years immediately following University, Tiffany held an apprenticeship with the prestigious piccolo headjoint maker, Eldred Spell, as well as performed solo and with many different types of ensembles including wind bands, orchestras, and flute choirs. She also accompanies choral, jazz, and folk artists. Tiffany remains active by attending and performing in flute retreats and masterclasses, studying under flutists William Bennett, Steven Preston, Goran Marccuson, George Pope and Ronda Larsen. Her experience has a wide range teaching all levels of flute students privately, in masterclasses, and as the section leader of Pride of The Mountains Marching Band. She has competed and judged in many different music competitions such as All District, Honor Band, Concerto, and Young Artist Competitions. a sense of enjoyment and success for everyone she teaches. Lauren hopes to obtain an Elementary Strings and General Music teaching position at a public school in addition to teaching privately. Determined to be a successful and motivating teacher, Lauren puts a lot of time and thought into each of her student’s goals. She hopes to bring the same knowledge and enjoyment to her students through music, as her teachers have done for her. Kendall Rhymer was born in Sylva, NC. She has been studying music since she was 12 years old. 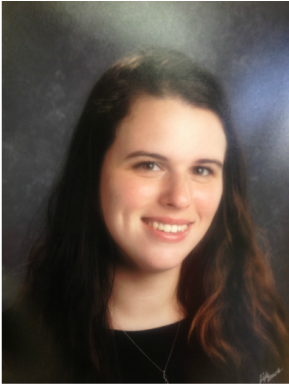 She is currently studying Music Education at Western Carolina University and is in the percussion studio there. Kendall has played piano and viola as well as percussion throughout her musical career. Her performance background includes Western Carolina University's Percussion Ensemble, the WCU Symphonic Band, Mountain Winds Community Band, Gamelan Ensemble, and the Pride of the Mountains Marching Band. Charles grew up on the coast of North Carolina, where his grandmother enrolled him in dance classes at the young age of 7. He fell in love with tap! He played flute in middle school & high school but eventually transitioned to the drumline. While at WCU, Charles was in the 'Pride of the Mountains' marching band & a bass drum section leader. In 2009, he auditioned & marched with Spirit of Atlanta Drum & Bugle Corps on 4th bass drum. In the last few years he has found the beautiful world of hand percussion. He now studies & plays djembe, frame drum and cajon in his free time. Charles hopes to share and spread his love of drumming here locally in western NC & beyond!